away in a garbage truck. Everywhere the lights of the temple shrines are burning. In the flowers that bloom in spring, in the snowflakes. In the evenings that draw each day to a close. Sparks from the candles burning in empty drink bottles. In Korea, as in other technologically developed societies, death ordinarily and unexceptionally comes to us privately, in hospital rooms or at home. Only exceptionally and in extraordinary circumstances is death public and en masse. Our funerals follow suit: the commemorative ritual takes place in a relatively private room that people enter individually, where there is a picture of the deceased to which they bow, and usually some next of kin, who dress in coarse sackcloth and speak in hushed whispers, with whom they may grieve. By tradition, however, in the next room people talk, eat, drink, and chat about their memories and their loss and what it will mean. In this way, the ritual recognizes the extraordinariness of death, but the grieving itself, the feelings of deep sadness and pain that will last a lifetime for the immediate bereaved, is nevertheless kept very ordinary. Perhaps we are better equipped than other nations, at least by our customs, to deal with deaths that are not a single private event but public deaths that must be shared; catastrophic loss and mourning that come together in a form of extraordinary ordinariness, death that is commonly shared, and therefore uncommonly rare. In the epigraph above, for example, the sites mentioned are public spaces, the units of time are everyday ones, and perhaps there is even something terrifyingly inclusive about the addressee. Who is this departed “you”? Is it a human being or a ghost—and if human, buried or burned? If a ghost, what kinds of public commemoration will have the power to lay it to rest? Jean Baudrillard famously said of the September 11 terror attacks on the World Trade Center, “The whole play of history and power is disrupted by this event, but so, too, are the conditions of analysis. You have to take your time.” This is true not just for historians but even more so for writers who would wrestle with ethical and artistic questions that are at first obscured by but later indelibly embedded in the catastrophic event. Any catastrophe is sensational and initially stunning. But each catastrophe triggers huge losses, shared and immediate. But although it might be difficult to restrain moral condemnation or even thoughtless military action against terrorism, because what must follow is deeply personal and private and in many cases lasts the lifetime of the bereaved individual, right decisions about public forms of commemoration, unlike the immediate outpourings of communal grief, are always the products of slow time. 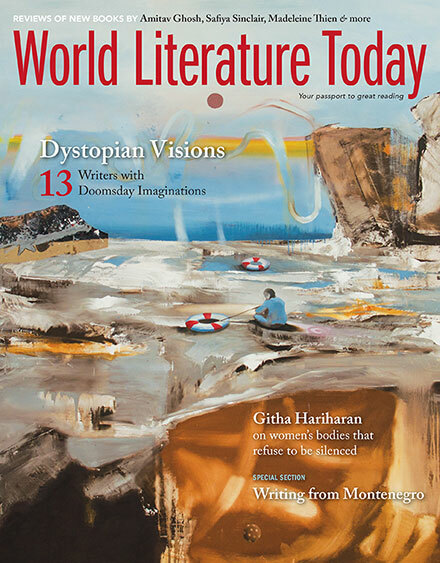 The creative imaginations of our writers occupy the realm of remembering and mourning when catastrophe leaves the realm of social and political history and enters into the realm of ordinary everyday lives. Literature is one such public/private form of commemoration, and it too tends to unfold according to the rule of “taking time.” Accordingly, the catastrophes we find in Han Kang’s novel Human Acts are several and several decades old, including the Gwangju Uprising that began on May 11, 1980, and culminated in the massacre of several thousand, and a fire at Yongsan in Seoul in January 2009 that killed five squatters and a policeman. The wide time span of the novel tells well how the creative imaginations of our writers occupy the realm of remembering and mourning when catastrophe leaves the realm of social and political history and enters into the realm of ordinary everyday lives. Catastrophic spots of time in Korean literature are added unfortunately with another catastrophe that came too soon after the Korean original of Han Kang’s Human Acts was published. In many ways prefigured in these pages, too, it is a catastrophe that demonstrates how these truths reenter the fast time of political life of the country from the slow time of those everyday lives: the Sewol ferry tragedy on April 16, 2014. Certainly, if we are not better equipped by our customs to deal with mass death in public places, we have been well prepared—almost habituated—by our not-so-distant past. In 1979 the current president’s father, Park Chung-hee, was being entertained in a private “safe house” when he was murdered by his security chief. In the subsequent “investigation” of the murder, martial law was gradually extended to the whole of the country, allowing Park loyalists to mobilize the army to suppress dissent without asking permission from the occupying American army. Accordingly, when the people of Gwangju rose in revolt against continued military rule, Chun Doo-hwan and Roh Tae-woo moved in special forces and then regular army troops, who murdered many thousands of people. In Korean literature, there has been an endless wrestling of writers to assess the ethical dilemma of the Gwangju massacre: if I name just a few, Im Cheol-woo’s “Spring Days” (1987), Straight Lines and Poison Gas (1989), A Petal, and A Glorious Vacation, films and collections, and 26 Years (2006), a famous webtoon by Gangpool (a pen name). Han Kang’s Human Acts follows the line and culminates the literary achievement of the Gwangju. The original Korean title of Human Acts was “Sonyeon-i onda,” literally, “A Boy Is Coming.” This enigmatic title does not impart or even imply any explicit social and historical background, and the novel begins innocuously with a narrative of a boy looking for his close friend who once lived in the same house. But as the novel unfolds, the reader comes to realize that the boy protagonist wandering here and there is not living, but a boy who died during the Gwangju massacre, a democratic movement in Gwangju in 1980. Following the transformative voices of “You” in the novel, readers weave the reconstructed lives of the dead and the remaining, the brutal years of the families of “a boy,” numerous mothers of so many victims in the massacre. In a novel whose original title reflects the ordinariness of an extraordinary catastrophic tragedy, history’s grand teleology is narrowed down and converges in the boy’s encounter with families still waiting for the return of their dead son. Individual strands, though separated into different voices in different chapters, become gradually a national elegy in progress, still not ended even after thirty-seven years. Han Kang was only ten years old at the time of the massacre. Perhaps that is how, in this work, she is able to give an ordinary, living voice to this extraordinary, dead protagonist, whom she tasks with awakening and reminding us of an event that is, on one hand, extraordinary even among catastrophes in Korea and, on the other, a nationally shared loss now, thanks to literature, well beyond the powers of politics to erase and even of ordinary people to forget; that is, it is part of everyday life. Literary representation of catastrophe, therefore, is a pendulum movement between the extraordinary and the ordinary, between forgetting and remembering. The newspaper’s like an obituary. because they were not considered human. Here, the poet mourns the brutal reality of Korea, where the daily newspaper became the official site for loss, for repeated, more accelerated deaths in the form of forced deportation. In Han Kang’s Human Acts, “Yongsan” overlaps with “Gwangju”: “But that’s Gwangju. . . . ‘Gwangju’ had become another name for whatever is forcibly isolated, beaten down and brutalized, for all that has been mutilated beyond repair. The radioactive spread is ongoing. Gwangju had been reborn only to be butchered again in an endless cycle. It was razed to the ground, and raised up anew in a bloodied rebirth.” At first, an all-consuming event with no historical precedent appears as a kind of blank, a shared but unique and thus meaningless form of loss. 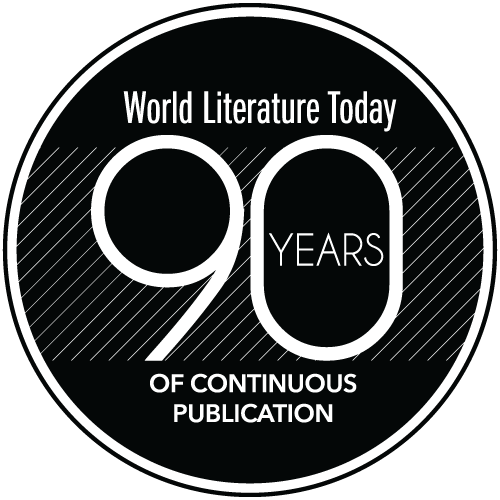 Next, the rite of literary analysis commemorates and crowns this uniqueness and in so doing grants a kind of copyright to its memory. Does this “copyright,” this uniqueness, ever have the power to forestall catastrophe, or is it only a guarantee that the next catastrophe will be equally original? One answer to this question might be found by trying to break into the middle of a cycle of catastrophe, commemoration, and literary interpretation that is still ongoing, one that began only about one month before Human Acts was published in Korean. On the morning of April 16, 2014, the ferry Sewol was bound for Jeju Island with hundreds of high school students taking a final spring fling together before the grueling process of preparing for the college entrance examination. The Sewol sank off the southwestern coast of South Korea after taking too sharp a turn. Although the ship took nearly two and a half hours to fully capsize and sink, the passengers were told to remain in their cabins below, even when the cabins had begun to fill with water—and even when the crew was abandoning ship. While the whole world watched the ship sink on live television (it was even broadcast on the BBC and CNN), the ship’s owners and the president were apparently nowhere to be found, and the Coast Guard failed to do more than save a few students who had disobeyed orders to stay in their cabins. The ferry was carrying 476 people and resulted in the loss of 304 lives, 250 of whom were high school students; nine are still underwater. In Korean, sewol means “time and tide” (as in “time and tide wait for no man”) or, more literally, “years and months,” that is, the slow time of which Baudrillard spoke, or perhaps the long time that it took for the nation to act on the unfolding tragedy. In the year following the Sewol tragedy, rumors swirled and very little was done—the premier was sacked and then reinstated, inquiries were promised and then canceled, reasons for the absence of the president were given and then denied, and the memories and even the ordinary everyday life of Korea appeared almost stuck, as if we are all helpless onlookers in a country whose captains have abandoned ship and we are living the same day over and over, with only slight changes in the largely rumor-based journalism and commentary. Even when the president was at last impeached, it was largely due to a corruption scandal, paltry in size at least by Korean standards, and not even benefiting the president herself—to the very end the government resisted mention of the Sewol disaster in the articles of impeachment. 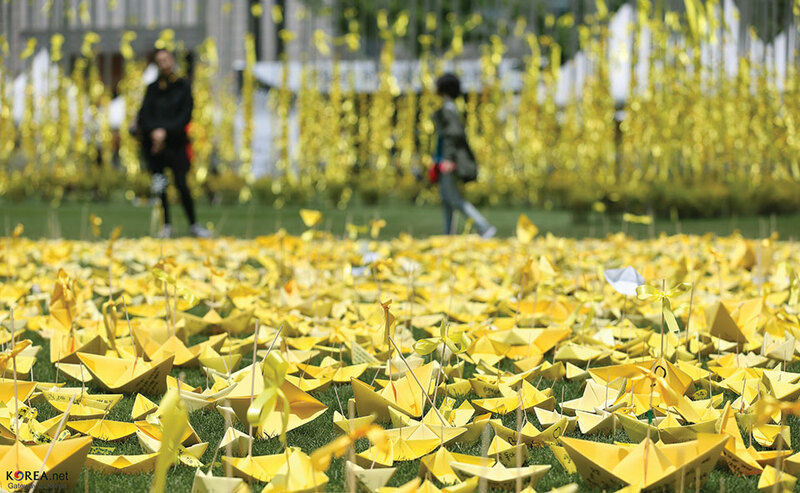 After the Sewol tragedy, yellow ribbons became a symbol of hope and solidarity. In reality, two bodies, a boy and a girl who were later found dead in the ship, were tightened with the strings of the life jacket. The poet, Kang Eun-kyo, becomes the girl submerged in the sinking ferry. As if doing the religious service of incantation, the poet becomes the daughter waiting for rescue and dying. Like this poem, so many poets called forth the dead students one by one to memorialize each one of them on their birthdays. It was a desperate way to approach the reality of the day in the era of “posttruth politics” that Hannah Arendt described as a property of totalitarianism when the border between true and false, reality and fiction becomes blurred. And writers were in the front line calling for truth. In October 2016 it was revealed that about 9,500 artists from the visual arts, film, music, theater, and other cultural endeavors were blacklisted dating back to 2014 due to actions critical of the government’s role in the Sewol ferry disaster. Under scrutiny, it was revealed that Cheong Wa Dae (The Blue House) allegedly created the blacklist of writers and artists to disadvantage those critical of the government by denying financial support. Han Kang, winner of the Man Booker International Prize, and Yi Yeong-gwang, the above-mentioned poet, were included alongside Ko Un, who has been nominated for a Nobel Prize. More evidence that the slow time of literature is reentering the short half-life of politics is this: the Sewol disaster has at last been included in the articles of impeachment. Those who repeat the past are, like it or not, condemned to remember it, to commemorate it, and to re-create it in their literature. Santayana said, “Those who cannot remember the past are condemned to repeat it.” But of course, so are people who do remember; death comes every day. Even a catastrophe, in a place like Korea, cannot be completely unexpected when it comes. Some may feel that the real function of literary commemoration is to turn the page on past catastrophes, making them history rather than literature and through literature part of the everyday present. But all this ignores a very simple fact: those who repeat the past are, like it or not, condemned to remember it, to commemorate it, and to re-create it in their literature. As Jin Eun-young once said, “Our sympathy is as short as the shadow at noon and our shame is as long as the shadow of midnight.” Writers are people doomed to mark the voices of the disappeared in the depthless shame and sadness of the remaining. That’s the life of writing and the way of life; “The thread of life is as tough as an ox tendon, so even after I lost you, it had to go on” (Han Kang). So it was that after the massacre, there came words of writers, words of witness and remembering. In a country of the blind where we could not hold a funeral after the massacre, writers called out the names of the dead students one by one. 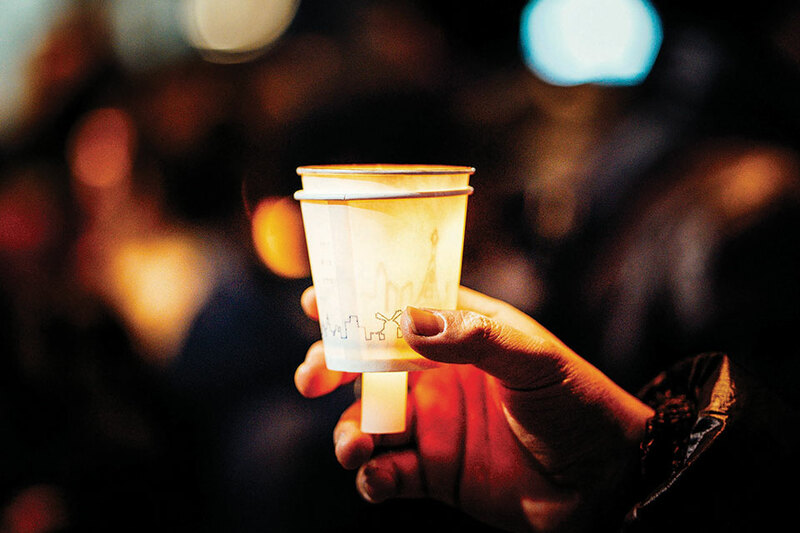 Today people are still walking on the streets of Seoul with candles, every Saturday, breaking the constraints on political representation, rebuking the inability of politics to forestall and to remember. It is a process of rebuilding the republic of “the people” through walks, but it is a process that began with words. In the sewol of Korean literature, our time and our tide, nothing is erased, so long as we know the ritual words and know how to share them. It is the language of Korea’s writers that holds a wake for boys and girls still returning to us from the dark sea. Eun-Gwi Chung is an associate professor at Hankuk University of Foreign Studies in Seoul, Korea. She earned her PhD in the Poetics Program at SUNY Buffalo. 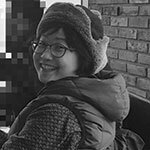 Her translations of Korean poetry with Brother Anthony have been published as The Colors of Dawn: Twentieth-Century Korean Poetry (2014) and Fifteen Seconds Without Sorrow (2014) in the US. This research was supported by a research grant from Hankuk University of Foreign Studies.